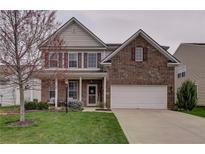 Below you can view all the homes for sale in the Enclave At Deer Path subdivision located in Noblesville Indiana. 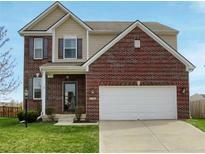 Listings in Enclave At Deer Path are updated daily from data we receive from the Indianapolis multiple listing service. To learn more about any of these homes or to receive custom notifications when a new property is listed for sale in Enclave At Deer Path, give us a call at 317-308-8198. New HVAC, storm doors, sump pumps. MLS#21633500. Realty Trust Group, LLC. Award-winning HSE schools! Your beautiful new home awaits! MLS#21631970. CENTURY 21 Scheetz. Large Master Suite with Vaulted Ceilings, walk-in closet, double sinks, soaking tub & Separate shower! Enjoy the Community Pool & amenities. 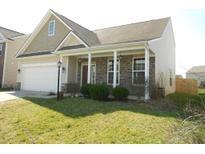 MLS#21626904. CENTURY 21 Scheetz. 2005 sq ft 2 story home, 3 bedroom, master down,2.5 bath, 2 car garage, 9' ceiling on main level, 14' x 12' concrete patio, seperate tub, shower, and double sinks in master bathroom. MLS#21556735. F.C. Tucker Company.